In postwar Philippines, the University of the Philippines was already engaged in community work by serving the poor and the needy, especially the victims of World War II. In 1966, then UP President Carlos P. Romulo (1962-68), in a speech before the University Council, called for the nationalization of knowledge and pushed for Filipino scholarship to benefit fellow Filipinos. But it was during the creation of the UP Pahinun­god in 1993 when the university took an active role in voluntarism. Pahinungod is a Visayan term which means “offering” or dedication to a noble purpose. The UP Pahinungod under President Emil Q. Javier (1993-1999) envisaged a generation of UP students and graduates who would offer their talents and dedicate themselves to voluntarism as responsible citizens of the nation. But the UP Pahinungod System Office did not last long and was devolved to the different Constituent Universities. From “community engagement” in postwar Philippines to “a scholarship of engagement” in the new millennium, it is not surprising to find numerous and various forms of public service in the university. A significant number of public service initiatives across CUs however, are not documented, reported and tracked. The next UP Padayon Director, Nelson Cainghog, therefore embarked on a project to standardize and systematize public service reporting through the UP Handbook Online Project. For the first time, there is now a unified mechanism for reporting public service across the different CUs. In collaboration with the Human Resources Information System (HRIS) Team of ITDC under the Office of the Vice President for Development, the UP Public Service Handbook (for individual input) can now be utilized starting March 2018, making the submission and approval of public service reports more convenient and efficient. Phase 2 (for institutional input) of the Handbook is underway and will become operational within the year. Under the new administration of UP President Danilo L. Concepcion (2017), UP Padayon is taking on a more proactive role in public service. The task is to address problems within the university as well as to respond to national emergencies while at the same time coordinating and consolidating all efforts and initiatives from different sectors and stakeholders working on public service in the university. UPV students and staff prepare relief goods to be delivered to communities stricken by Super-Typhoon Yolanda. UP Padayon has been coordinating initiatives to provide quality food service to the underprivileged Iskolar ng Bayan to ensure that their nutrition needs are met to complement the quality of education they receive from the university. The annual Gawad Pangulo which UP Padayon organizes attests to the continuing tradition and practice of public service in the university. In this is­sue of the FORUM, we present the Gawad Pangulo awardees for public service and their projects. They include the contributions of Professor Emeritus Romulo Davide of UPLB in restoring the dignity of farmers through the Farmer-Scientists Training Program; UP Baguio’s Summer Arts Program pro­viding workshops for cultural workers in the Cordil­lera region; UPOU’s Teacher Development Program through eLearning; UPD’s College of Home Eco­nomics Program of Transforming Interior Spaces of the Home and Upgrading Lives of the Aged; the Community-based Rehabilitation Wheelchair Service Program of the College of Allied Medical Professions; and the UP Cebu Business Incubator for Information Technology (UP Cebu InIT). A roadshow on genomic and informatics headed by the Philippine Genome Center is also included in this issue. UP public service projects, programs and initia­tives are numerous and cannot all be considered for the Gawad Pangulo. But these can be shared in the Colleges Universities Public Service Conference (CUPSCON) which UP Padayon also organizes. 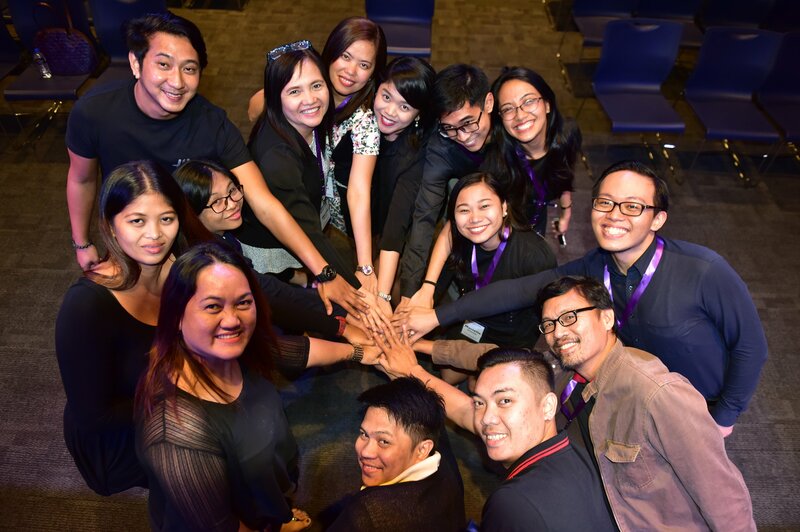 CUPSCON 2, held last 9-10 November at the UP BGC (for the Luzon leg) and 28-29 November at UP Cebu (for the VizMin leg), gathered more than a hundred extension specialists, public service work­ers, volunteers and advocates all over the country. CUPSCON is the best forum to share best practices, challenges and successes of public service endeavors as well as the best opportunity to link up with other institutions. From the postwar years to the 21st century, UP has continued its mission to serve the needy, the margin­alized and the vulnerable. Tracing its beginnings to UP Pahinungod in the 1990s, UP Padayon in 2012 affirms the public service function and role of the University of the Philippines. All these initiatives, projects and programs on public service should not only be reported but featured and discussed in academic journals and other reputable publications. 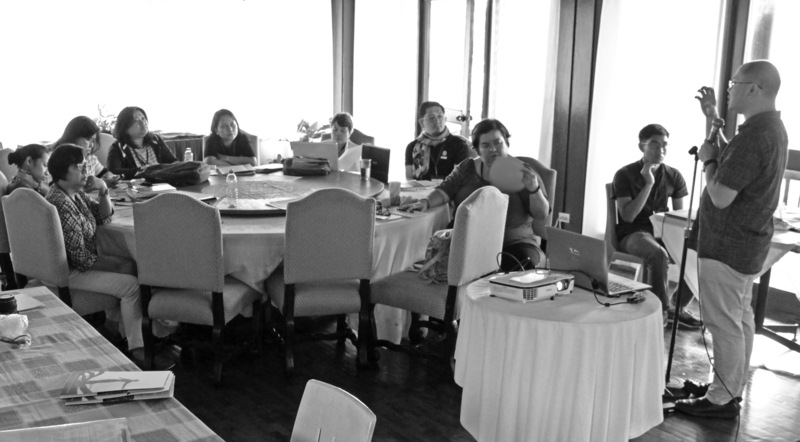 UP Padayon launched its 1st Fellowship & Writeshop Grant for faculty, REPS and staff last 24-25 October 2017 at the CCP Executive House in Mt. Makiling. The objective was to equip faculty, REPS and staff with writing skills to produce scholarly articles on public service.